swim until you can't see land. 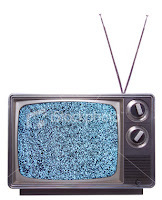 : television television. this blog is supposed to be about what happens when a girl spends her entire childhood with five television channels. 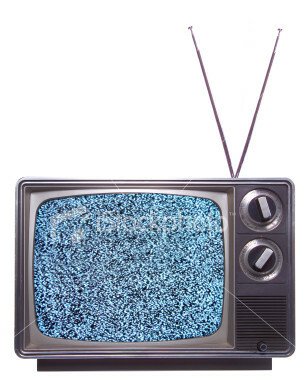 before she leaves for college at the tender age of nineteen, her grandfather gives her a small flatscreen television. she sets it up in her dorm room, and suddenly... she has cable. because you are a smart human being, you guessed that that girl is me. television has never held much for me. when i was little my mother and i used to watch dharma and greg, and since it left the air, i really have to say that there are no good sitcoms left. how i met your mother and the big bang theory are decent, but not decent enough for me to watch them every week. i miss the days of dharma and greg, frasier, and eight simple rules. after swim practice, every thursday, my entire family would watch survivor. we're one of those families that's stuck with it from season one to season twenty-two. and we can't wait for season twenty-three. this is the first and best of reality TV. other than that, we don't watch much television. when we moved in june of 2007, my father didn't connect our only television until november. and we didn't notice. on monday nights my mother and i watch chuck. i have an extremely unhealthy relationship with chuck, probably because it was the first true one hour television show that i've ever seen. i'm in love with zachary levi and i'm way more in love with his character. my best friend jacob got me into watching chuck, and i've devoted my monday nights to it for four seasons. i own three of these four seasons (i can't wait until the fourth one comes out!) and i watch them frequently. on monday nights at eight, my television is on NBC and you better not try to talk to me, because i will eat you. then, quite suddenly, i had cable. monday nights were still chuck nights, but then... after chuck was over, i had seventy-six channels to surf. there were so many ridiculous possibilities! there were entire channels devoted to the environment, to animals, to CAKES. and i found that i didn't watch any other channels except the five i grew up with. jacob (the boyfriend, not the best friend) and i were channel surfing while sitting on my bed one evening and there was a decent looking drama that i paused at. there was a very handsome, tall skinny geeky kid in a waiting room anxiously tapping his foot and i asked jacob what show this was. 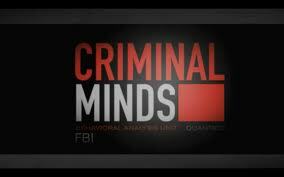 and he laughs and says, oh, this is criminal minds. there was a long pause in which i contemplated that name. i'd seen commercials for criminal minds on cbs for a long time during my weekly survivor ritual, but i'd never watched it. it looked too much like CSI for me to be completely comfortable. i'm terrified of CSI. while i contemplated this, jacob contemplated me with complete bewilderment. and he opened his mouth and said, "you've never seen criminal minds? your hobby is serial killers, and you've never watched criminal minds?" we watched it. i fell in love. my obsession has grown as much as my obsession with chuck, and in fact, it might be worse. i only own two of the six seasons, but i have access to all six illegally online and i watch them frequently. i am MADLY in love with dr. spencer reid, and i became so emotionally invested in the show that it frequently makes me cry. i thought only chuck could do that. over my one week spring break, i watched all of season five and what was currently airing of season six. then i began to watch it every wednesday night at nine. and then i discovered channel 23.
channel 23, more officially known as ion television, plays criminal minds from eight until one. every single night except wednesday (to make room for the new episode, they play it from ten until midnight). they play all the episodes in order. suddenly i had a new ritual; chuck at eight on mondays, and then criminal minds the rest of the week. i figured out exactly what day and what time my favorite episode would air, and i got the popcorn all ready. halfway through the episode, somebody pulled the fire alarm in my dorm building. i pelted in my slippers for my friend bill's room in gelston hall, pounded down his door, and demanded to use his television. it's safe to say i'm unhealthily addicted. i'm still not big on television. i figure there are way too many channels out there. i'm not sure why anybody would spend all day watching a channel completely devoted to cake shows. i grew up with five channels and i'm normal.